After a five-year hiatus, Singapore Airlines is set to relaunch the world’s longest commercial flight, bringing back New York (Newark)-Singapore service in October. The 18.5-hour flight will take place aboard the new Airbus A350-900ULR (ultra-long-range) aircraft. And for agents/travellers concerned about comfort, Singapore Airlines has that covered. The aircraft will be configured in a two-class layout, with 67 Business Class seats and 94 Premium Economy seats. 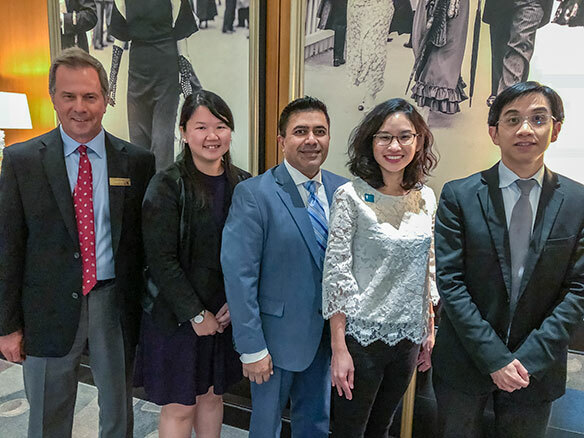 Singapore Airlines’ officials, along with representatives from the Singapore Tourism Board and Changi Airport Group, recently unveiled the news at an industry event at The Omni King Edward Hotel in Toronto. Tickets for the New York-Singapore flight are available for purchase as of today. Flights will begin operation Oct. 11, three times weekly, and go daily as of Oct. 18. The A350-900ULR will offer travellers a more comfortable travelling experience with features such as higher ceilings, larger windows, an extra wide body and lighting designed to reduce jetlag. Business Class seats will be in a 1-2-1 configuration and feature 28-inch-wide leather seats that lie flat. Premium Economy seats will be in a 2-4-2 configuration and be 19 inches wide, offering a 38-inch pitch. Adrian Ee, vice-president, Eastern USA, Singapore Airlines, questioned whether bigger is really the best when it comes to aircraft? 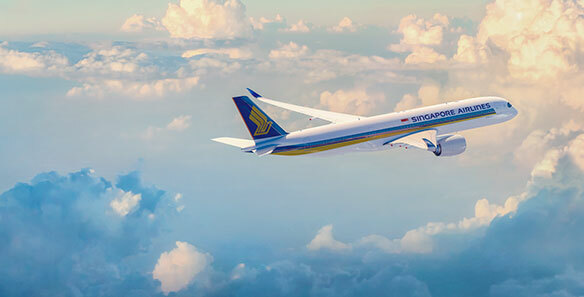 He added that Toronto and Canada are an important market for Singapore and “always on the horizon” for the airline. Air Canada is serving as an interline partner to get travellers to New York for the new Singapore flight.